I understand the relationship between home buyers and Agents must be based on trust, mutual goals and understanding; this is why I always keep your interests first and foremost. The real estate process requires negotiation of complex issues; I am committed to working in your best interests. I will help you secure the best possible price, with the most favorable terms, in the shortest period of time. All realtors are required by law to explain in detail consumer relations and to enter into a written service agreement with buyer clients. This should be done early in our relationship as this important step is to ensure that you understand what to expect of your realtor, including any obligations we have to each other. One very important aspect is that realtors have a fiduciary duty to their clients to protect their personal information and to only act in the interests of their clients. After our initial discussions about what type of home you want and where you want to live, the first and a very vital step you should take is to talk to your lender or a mortgage broker to determine the maximum value of a home that you can afford. It is always recommended that you obtain pre-approval for a mortgage before heading out on a search for your dream home, that way when you find it and decide to make an offer you can be confident you will be approved for financing based on your personal circumstances. One issue that is often overlooked when getting pre-approval is that lenders will ultimately want to do their own independent evaluation of the property you want to buy to be certain that their interests will be secure. Of course this can only be done once you and the seller have agreed to a sale price and have entered into a conditional sale agreement, typically one condition being financing approval. The lender may hire an independent licensed real estate appraiser as part of their due diligence to determine value. The costs may be passed along to you so you should have a discussion about appraisal with your lender when discussing the pre-approval process. Another very important issue relating to pre-approval of financing is that you should not enter into any large purchases on credit after obtaining approval as this will affect your debt ratio and will very likely have an affect on the amount of mortgage the lender will approve. If you must use credit, for example to purchase a vehicle, you should talk to your lender to determine if there will be implications to your pre-approval and then have your pre-approval updated. It is an exciting time when searching for a new home and I want to assist you in your search as soon as possible. To help me, I will ask you to make a wish list, which includes your "must haves", your "want to haves" and your "nice to haves". Included in this list will be the district(s) you are interested in, and the location in the community such as proximity to schools, shopping and public transportation, etc. Once I have information concerning your wants and needs, I will begin a search on the MLS and will set up an automatic search which will send you an email of all listings that match your search criteria, including new listings as soon as they are added to the MLS. When you have advised me which listings interest you, I will make arrangements to arrange a private showing of these properties. I recommend that we limit the number of showings in any single day to three or four properties so you can confidently compare them to each other. You will, in short order, develop a sense of value and you will recognize good properties that meet your needs and stay within your budget. If you are considering the purchase of a condominium, which historically is about 1/3 of the market and style of ownership, there are a number of additional items to be considered that are related to the operation, management and financial health of the condominium corporation. Likewise condominiums will have bylaws that outline rules and regulations that all owners must follow by virtue of their purchase of the property. If a condominium is what you are looking for we will have a detailed discussion about condominium life style and ownership as no two condominiums are set up exactly the same. Once you find a property that you like, I will assist you in preparing a written offer and presenting it to the seller, normally through their listing agent. Typically there will be a negotiation process that follows that can include price, possession date, inclusion of unattached goods such as appliances, and buyer conditions which often include financing approval and a property inspection approval. When you have reached a conditional sale agreement, there is a time attached to you satisfying the buyer conditions. At this time you will take the conditional sale agreement to your lender for their consideration and arrange to have the property inspected by a licensed home inspector. If you are approved for the mortgage and you are satisfied with the inspection results, you then can decide to move forward with the purchase. At this time you will advise the seller by providing a written notice waiving the conditions which will make it a firm sale. There is no turning back now so you want to be absolutely certain this is the home for you. You will need to engage the services of a lawyer to represent you in completing the purchase. I recommend that you utilize a lawyer who specializes in real estate law as issues can become complex and these professionals will know how to handle circumstances that can arise. It is a good idea to talk to a lawyer before making an offer on a property so you can understand the legal costs involved and any other issues you may wish to discuss. The big day arrives for you to take possession of your new home. This is the day we both have looked forward to when we began our relationship. 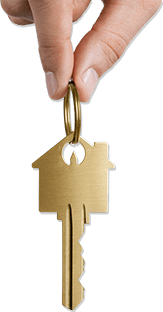 I will be contacted by the seller's realtor once your lawyer and the seller's lawyer have confirmed that the necessary closing funds and documents have been dealt with, and the keys will be released. This in typically done the morning of possession, close to 12:00 noon. Congratulations are in order as you have now realized your dream coming true.